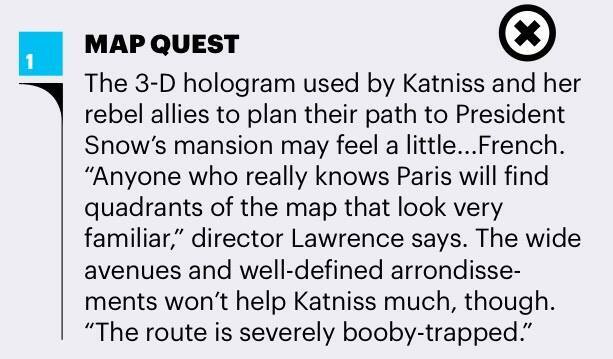 Entertainment Weekly promised us “intel” on The Hunger Games: Mockingjay Part 2 in the teaser for their Fall Movie preview double issue and they shelled it out today! 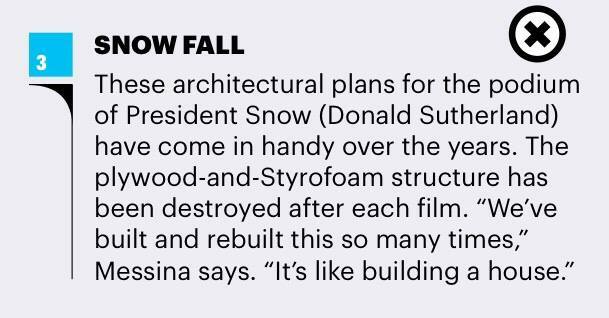 The piece doesn’t get too in depth– which hopefully means we’ll be getting some in depth articles closer to the release of the film (but no promises since Lionsgate essentially nixed the entire print campaign for Mockingjay Part 1)– but it talks a bit about putting together the Capitol. And we learned a few things! 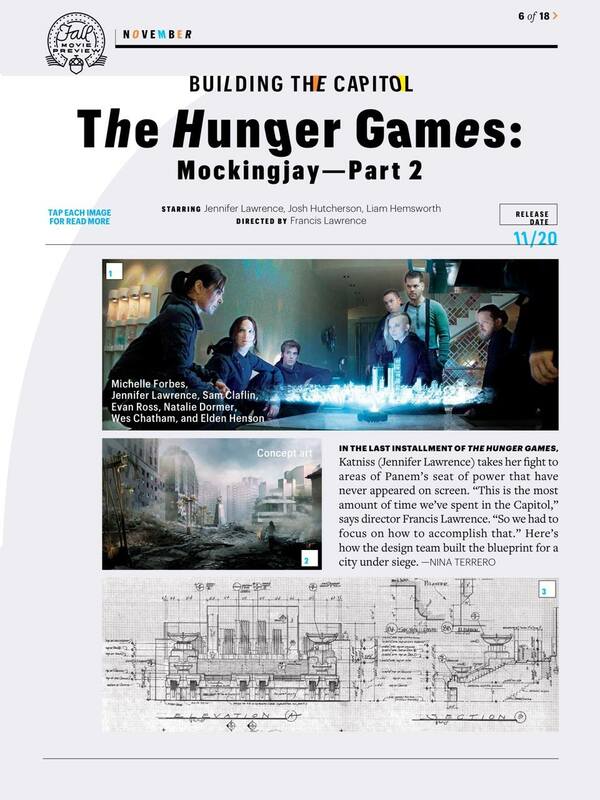 For instance, Francis Lawrence and the gang made full blueprints of the Capitol to get a feel for the layout. And it’s mostly just Paris but with some fun twists as an homage to the city where they shot most of the Capitol scenes. The architecture of the Capitol has gone from brutalist to Stalinist. 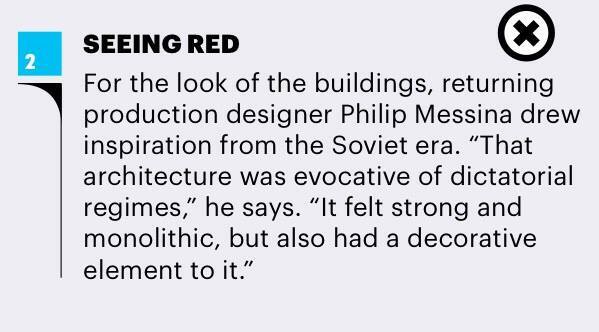 The Soviet Era style honestly seems pretty close to brutalism, but it’s a little edgier and probably helps convey the narcissistic vibe of the citizens a little better. We can’t help but wonder… Is it us? Why can’t we revel in an Entertainment Weekly piece with a new still and a few details? Is it that our attention span is too small or that the details are too little? We’re three months away from the movie! Patience is a virtue, but any fandom will you it’s certainly not a requirement. Either way, here’s hoping the studio wises up about print campaigns for this film and we get some articles that really delve into the story, the characters, and the on-set experience for the final film in the franchise!